May 27th, 21:24:27 UT NASA’s Swift spacecraft detected a new bright x-ray source. Thought to be an GRB (GAMMA RAY BURSTER) The object was associated with M31 (Andromeda Galaxy). 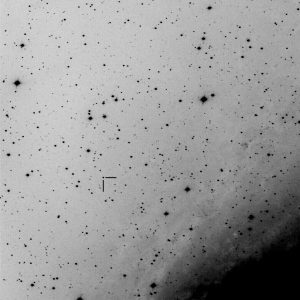 I took an image as soon as it was available to us (albeit nearly 10 hours after the signal was received). M31 was very low at the time. It was only 30 degrees above the North-East horizon. 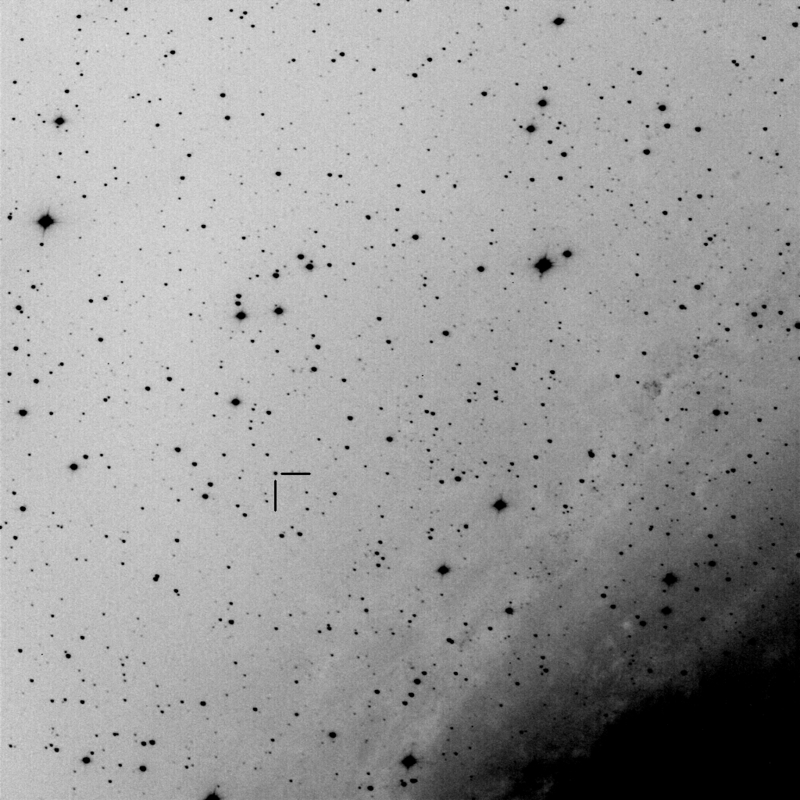 The image shows a 15th magnitude star just lower left of center (marked). The source was just a few seconds of arc north of that star. The image has the central bulge of the Andromeda galaxy just off the lower right.